It used to be that Indian students who wanted MBAs had to go abroad — often to countries like the US and the UK — to find decent business education through accredited business schools. But in the past few years, a number of business schools in India have been garnering international attention, as well as accreditation from AMBA, EQUIS, or AACSB. Here’s a list of the best ones. In 2008, ISB became the first Indian business school to break into the Global MBA ranking from the Financial Times. It’s listed as a top school for careers for Technology or Information Technology in FIND MBA's top schools by speciality listings. Ranked by both the Economist and the Financial Times, IIM-A is also listed as a top school for a career in Technology or Information Technology in FIND MBA's top business schools by speciality listings. 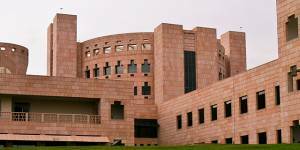 Accredited by EQUIS, in 2014, IIM-B broke into the Global MBA rankings from the Financial Times. MDI, in Gurgaon, is accredited by AMBA. Its specialized PGP in Energy Management is popular with students who want to work in the energy sector. IIM-K's PGP programs are accredited by AMBA. The only school in New Delhi with AMBA accreditation, IMI offers a PGP that’s focused on Human Resource Management. The oldest school in the IIM system, IIM-C’s PGP programs are accredited by AMBA, and its Master’s in International Management program is ranked in the Financial Times. The school is accredited by AACSB. The school’s PGP programs are accredited by AMBA. 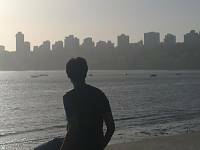 Since the school has campuses in Mumbai, Dubai, and Sydney, SP Jain tends to be popular with students who want international exposure. The school’s MBA programs are accredited by AMBA.